Eating meat from four legged animals was prohibited in Japan for more than a thousand years prior to 1868. This ban was especially strict during the Edo Period (1603-1867). Buddhist influences were primarily responsible for this dietary restriction, but other cultural factors and the need to protect draught animals in times of famine may have reinforced the taboo. After the Meiji Restoration in 1868, the new leaders of Japan wanted, among other things, to reduce traditional social barriers and to encourage the adoption of beneficial Western habits. There may also have been a desire to weaken the power of the Buddhists. Lifting the ban on the eating of meat was a small step towards these objectives. Nevertheless, it must have astounded the nobility of the day to see the young Emperor Meiji eating beef. 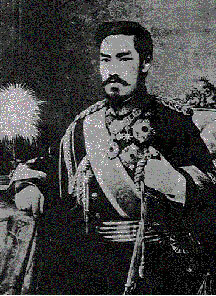 Meiji (1852-1912), emperor of Japan (1867-1912), born Prince Mutsuhito and the 122nd emperor in the traditional count, whose accession to the throne marked the beginning of a national revolution known as the Meiji Restoration. Despite the formal rescinding of the prohibition against the eating of meat in the late 1860�s, the consumption of meat remained extremely low for another century. Until very recent times meat (niku in Japanese) usually meant pork in eastern Japan (roughly from Tokyo to Hokkaido) and beef in western Japan (from Nagoya/Osaka to Kyushu). Historically, and even today, the people of the Kinki Region (Kyoto, Kobe, and Osaka) have been the heaviest beef eaters. 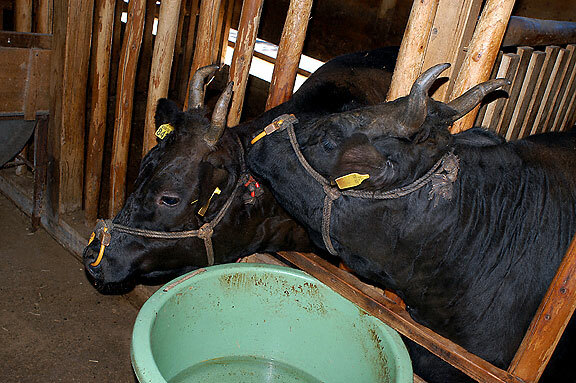 Wagyu in Cows in Matsusaka are bought in Tajima (Hyogo), Shimane and Shikoku. There is no breeding in Matsusaka. The creation of genuine Kobe (or Matsuzaka or Omi) beef is a mystical folk art which may have been practiced as an underground cult before 1868. Some sources claim that certain daimyo and even some shoguns enjoyed especially fattened beef from Hihone hab (now Shiga Prefecture, the home of Omi beef). 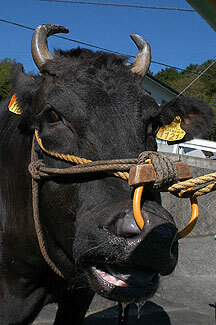 Most Japanese believe, however, that the art of producing Omi, Matusaka, or Kobe beef cannot be traced back to feudal times. Source: Derived from Kiyoshi Namikawa, �Animal Genetic Resources in Japan,� in S. Barker (ed.). Proceedings of the SABRAO Workshop on Animal Genetic Resources in Asia and Oceania. NEKKEN SHIRYO No. 47, Tropical Agricultural Research Centre, MAFF, Japan. According to the website of the California BBQ Association, "In order to protect its domestic beef industry, the Japanese government imposed strict laws that prohibited the export of any living Japanese Wagyu cattle. However, in 1976, four Wagyu animals were imported into the U.S.: two Tottori Black Wagyu and two Kumamoto Red Wagyu bulls. 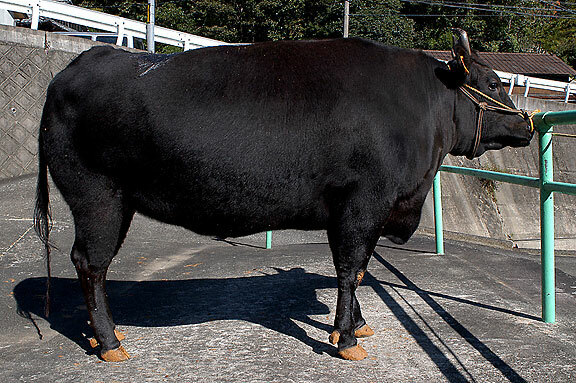 Then in 1993, two male and three female Tajima cattle were imported, and 35 male and female cattle (consisting of both red and black Wagyu) were imported in 1994. "Most Kobe Beef today is bred and raised in California and Australia. For example, Harris Ranch in California is contracted with beef producers in Kobe to breed and raise their cattle in California, where land and grain is relatively inexpensive. The cattle is raised and fed under the exacting specifications for Kobe Beef. When the cattle is almost ready for slaughter, it is shipped to Kobe, Japan, where its feeding is completed, and the cattle is slaughtered."